Oh My - this double pendant would make her so happy! Its perfect for anyday. The top is a piece of sea worn pottery from Italy. So cute with its very deep pink floral design. I've added a drop of English pink sea glass and its gorgeous. 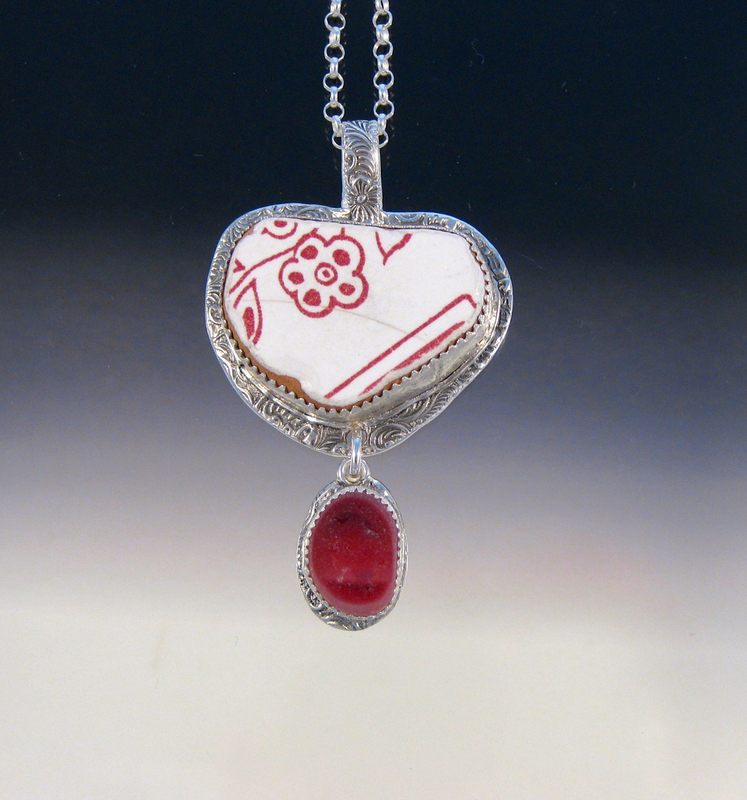 Handcrafted of 99.9% fine silver and only genuine sea glass and genuine sea worn pottery.